Still reeling from her young son’s death, Jackie Sheppard retreats to a small town in the Colorado Rockies. Comforted that no one knows of her tragic past, she’s thrilled to take a job at a family law firm, where she meets Tom, the local carpenter. Jackie’s distrust of others hinders their relationship, but they slowly build a budding romance. 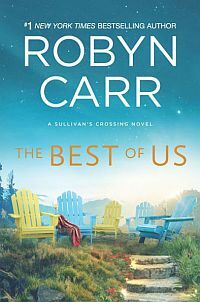 However, as she begins to settle into her new life, disturbing things start happening to Jackie–objects are moved around her house, an indentation of a body appears on her freshly made bed, and a bouquet of wildflowers are inexplicably left by her door. With eccentric residents in the town, Jackie dismisses the oddities, but as Tom’s checkered background reveals that his wife and child were murdered, Jackie believes she may be the next target of a sadistic killer. 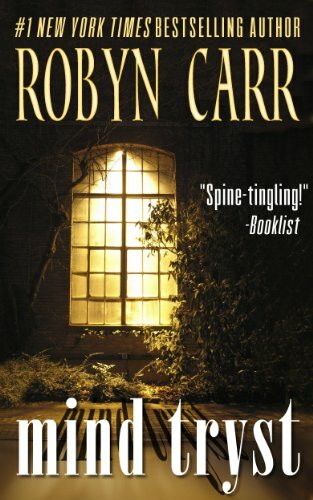 Acclaimed for its strong characters and thrilling plot, MIND TRYST is Robyn Carr’s only psychological suspense novel. Delighting fans of suspense since 1993, it will continue to leave readers looking over their shoulders long after they’ve turned the last page.